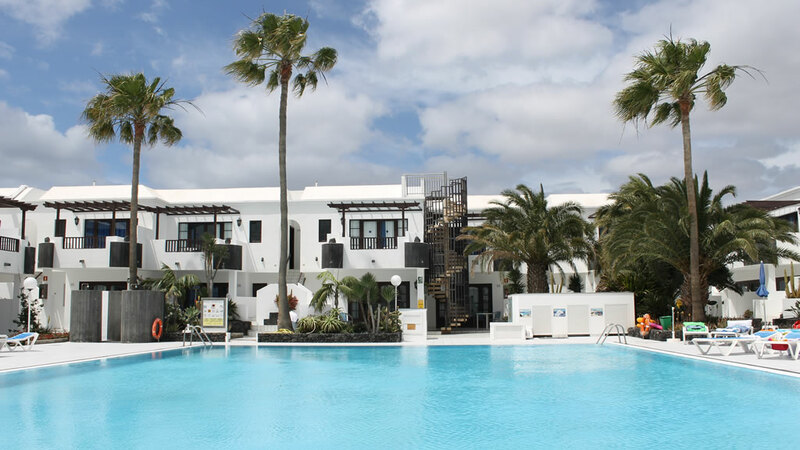 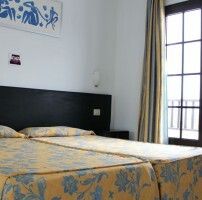 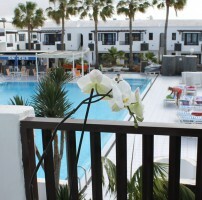 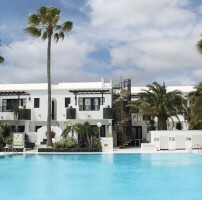 Plaza Azul is a family complex of 64 apartments set in the tourist area of Puerto del Carmen, only 6 Km from the airport and 12 from the capital Arrecife. 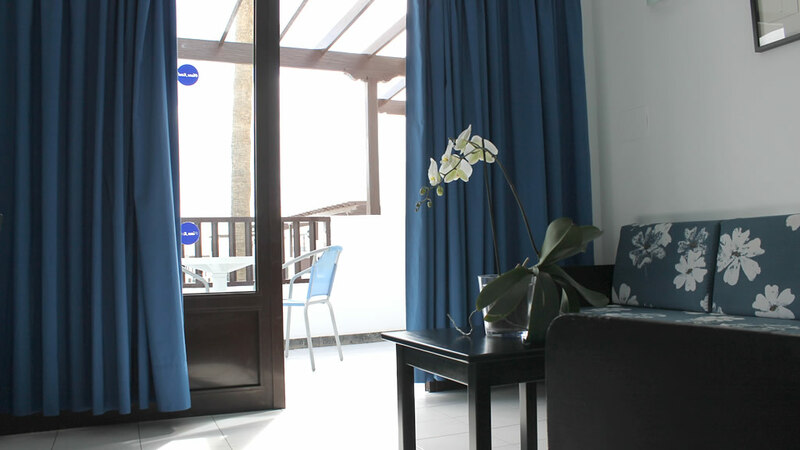 Plaza Azul can boast a priviledged location, just a few minutes walk from the sands and cristal clear water of Playa Grande, awarded with the Blue Flag, and from the shops and the amenities, yet the ideal choice for rest an relaxing holidays. 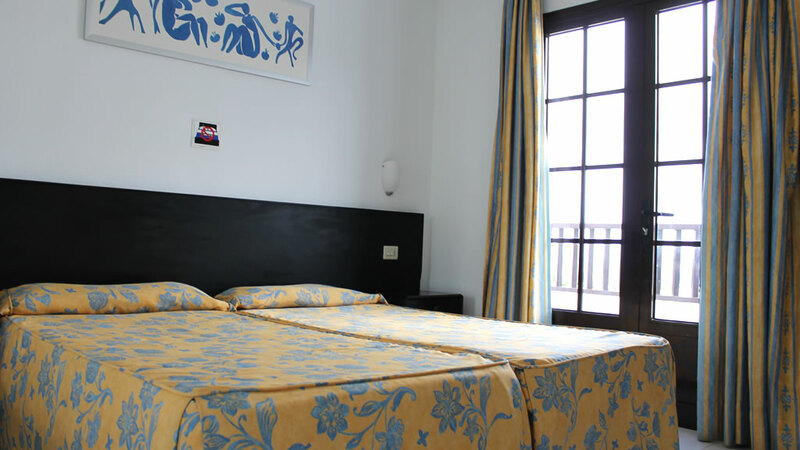 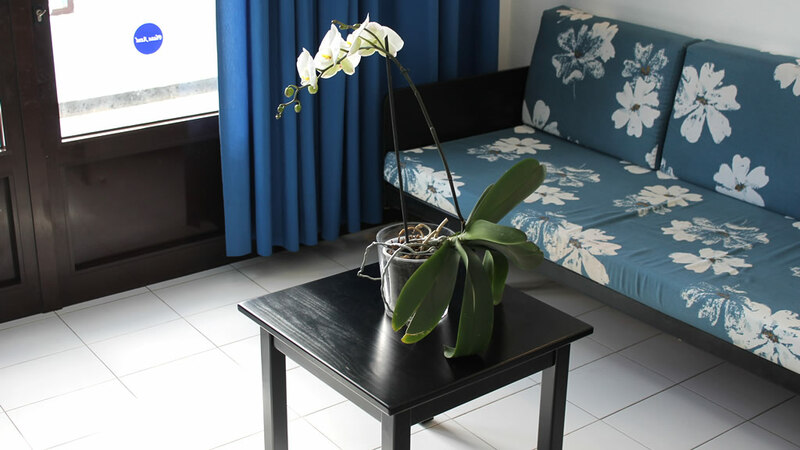 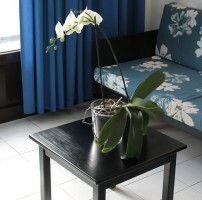 In each flat you will find all the facilities you need to fully enjoy your holiday: free wifi, separate bedroom with direct telephone line and safe , full bathroom,living area with sofa bed and flat screen satellite Tv, full kitchen with microwave oven, toaster, electric kettle etc. 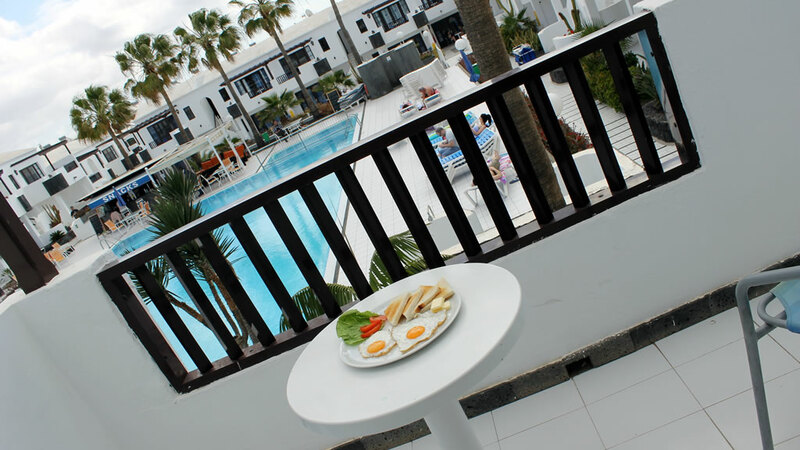 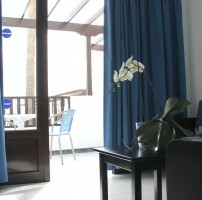 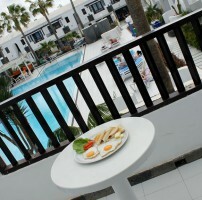 We are pleased to offer our guests other communal facilities such as restaurant, poolside bar with snacks and chill-out area, video pub with Maxi screen, minimarket, laundry facilities, game room with billiards and children games, 24 hours reception and panoramic sun terrace with a view on the Vulcanoes, the islands of Fuerteventura and Los Lobos. 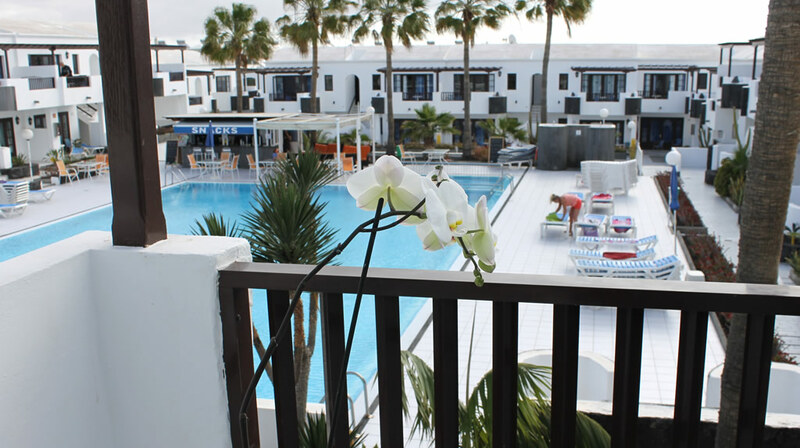 Our ecofriendly complex is equipped with modern sun panels for the hot water and the heating of the swimming pool during winter months.